During World War II, shipbuilding was big business along the West Coast. Hundreds of thousands of workers throughout the Bay Area held down jobs at places like the Alameda Works Shipyard. This week’s question asker, Kim Kay, lives in Alameda — not far from that old shipyard. A while back, she heard a story from a friend about a handful of small homes tucked away on a little street called Tregloan Court. "I had heard that the houses on that street were built for small people during World War II for shipbuilding," Kay says. Rumor has it the shipyard employed little people — and these small houses were where they lived. Kay and her friend went to check them out. "You know, when you first look at them you wouldn't really notice that they were small," Kay says. "But if you were to walk up to the front door, you would really realize that they are quite small." She was intrigued, though she had her doubts about the story. "It seemed interesting," she says. "But then my thought was, Kaiser was building ships in Richmond. Is there a street like this in Richmond? Are there small houses in San Francisco? I mean, if that's true, there must be little houses up and down the coast of California." It turns out Kay and her friend aren't the only people to have heard the rumor about the little people houses on Tregloan Court. There are mentions about it on Facebook, and quite a few Alameda locals nod in recognition when you ask them about it. 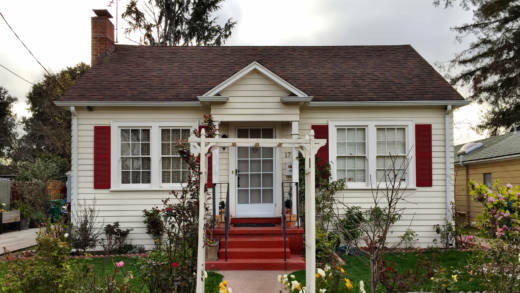 "It's like if you walked into fairyland and you see a home that was designed small," says Allen Tai, who works for the Alameda Planning Department. The houses in question aren't exactly miniature homes, though it's possible that some people might see them that way because of the bucolic setting. Tregloan Court is lined with fruit trees and babbling water fountains. The houses themselves are very cute. They’re made of wood and are smaller in scale than the grand Victorian homes that you also find on the street. They have period details and neat, well-groomed little yards. 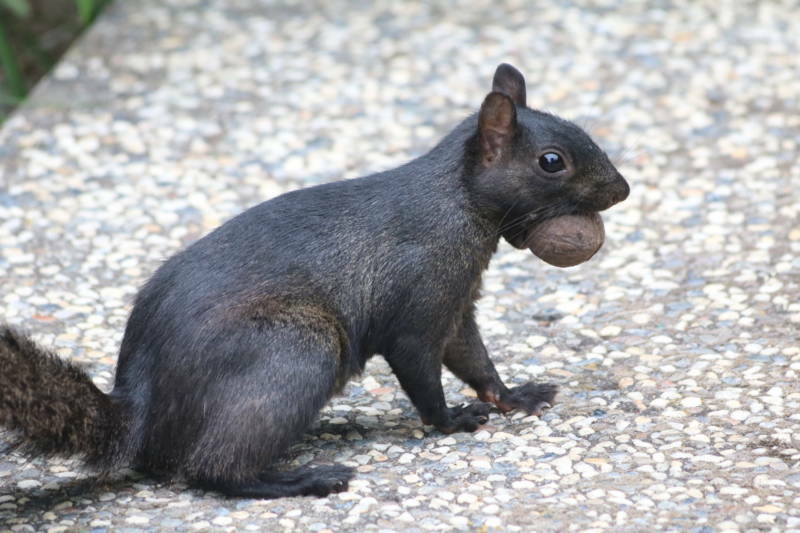 Myth: Palo Alto's black squirrels are the result of a Stanford experiment gone wrong. Busted: Those black squirrels are actually eastern gray squirrels whose parents both had a normal gene mutation for fur color. They're basically the redheads of the squirrel world. But while the "Middle Earth" quality to these buildings may explain why they’re associated with little people and the like, KQED's research suggests there’s absolutely no validity to the story about the homes serving as dwellings for little shipyard workers during wartime. Experts we spoke with included people in the Alameda Planning Department, neighbors and a number of local historians. They were unanimous in their debunking of the myth. "I've never come across a shred of hard evidence supporting the story," says Alameda historian Woody Minor. 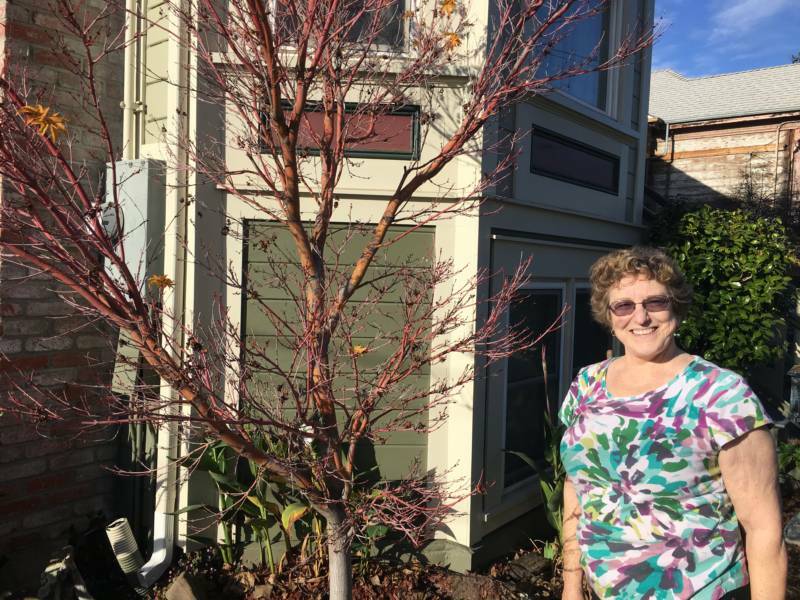 "I don't believe they were really built for little people," says Barbara Stuber, who has lived in one of the larger Victorian homes on Tregloan Court since 1975. "I mean we don't have little leprechauns living in our street, even though you have a little fairy door down there on the telephone pole." Old building permit records at Alameda City Hall show the homes in question were built some years before the Second World War, in the mid-1930s. 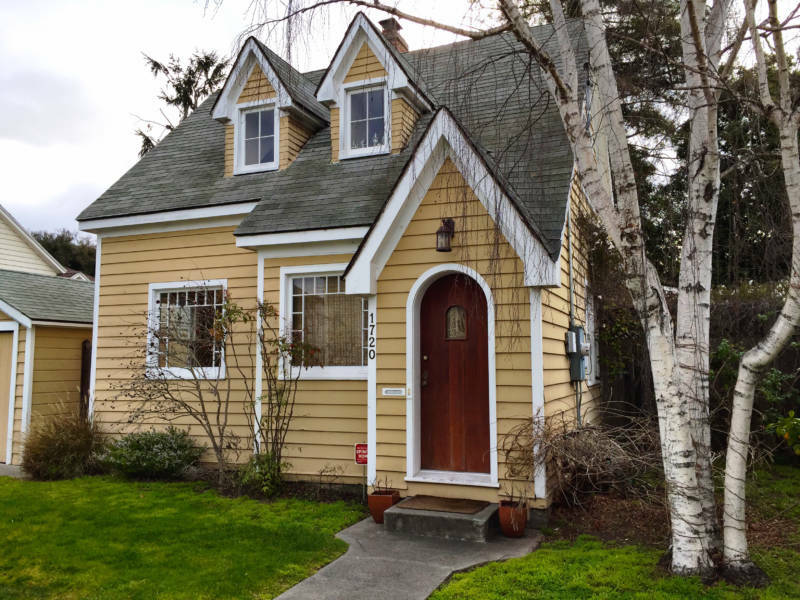 And while they’re modest in size, at around 1,000 square feet with two or three bedrooms, the homes are nothing near the scale of the tiny houses that are all the rage these days. That being said, the lots are pretty small. 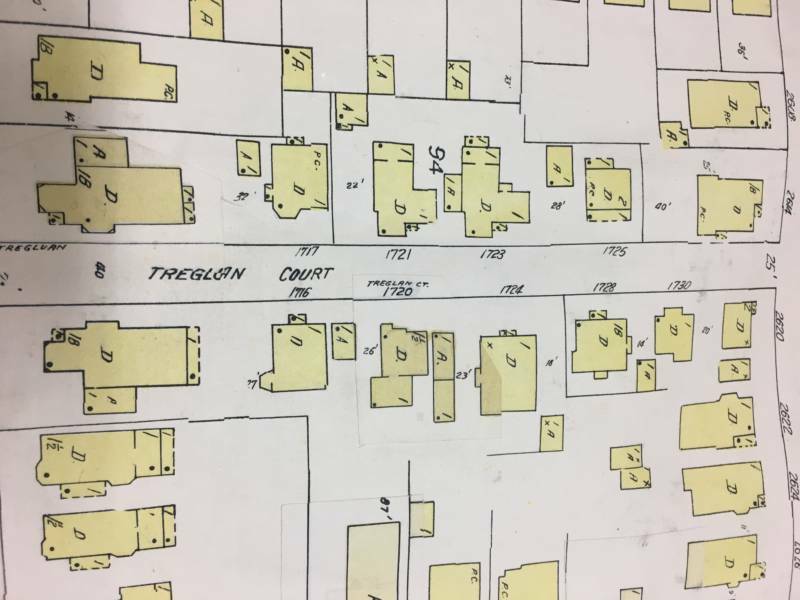 City records show Tregloan Court originally had larger lots that were divided up to get more bang for the buck. Historian Minor puts this in the context of the real estate boom that started in the late 1800s. "A lot of the old historic Gold Rush-era farms in the east end of Alameda, which is where the town began, began to be subdivided and developed with housing at this time," Minor says. "Tregloan Court represents sort of a cameo miniature example of this." The diminutive cottages on Tregloan Court aren’t even all that unique. There are the Stonehenge bungalows on Alameda’s Santa Clara Avenue, built around 1930. There’s also a series of small dwellings at Marion Court on Alameda’s west side. And there are similar developments in other parts of the Bay Area, too. 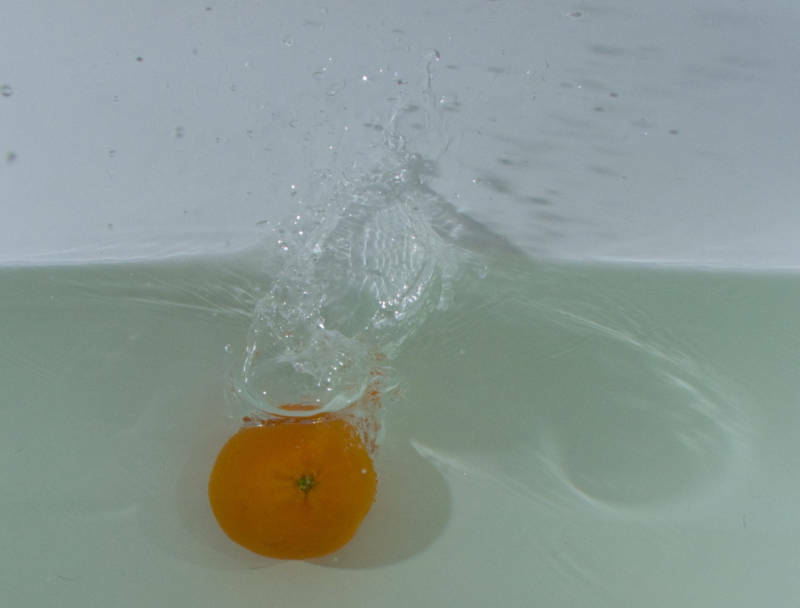 Myth: It's illegal to eat an orange in the bathtub in California. Busted: The word "orange" appears in state law 372 times, but not once does it have anything to do with a bathtub. No one really has a clue about how the myth got started and spread, though. 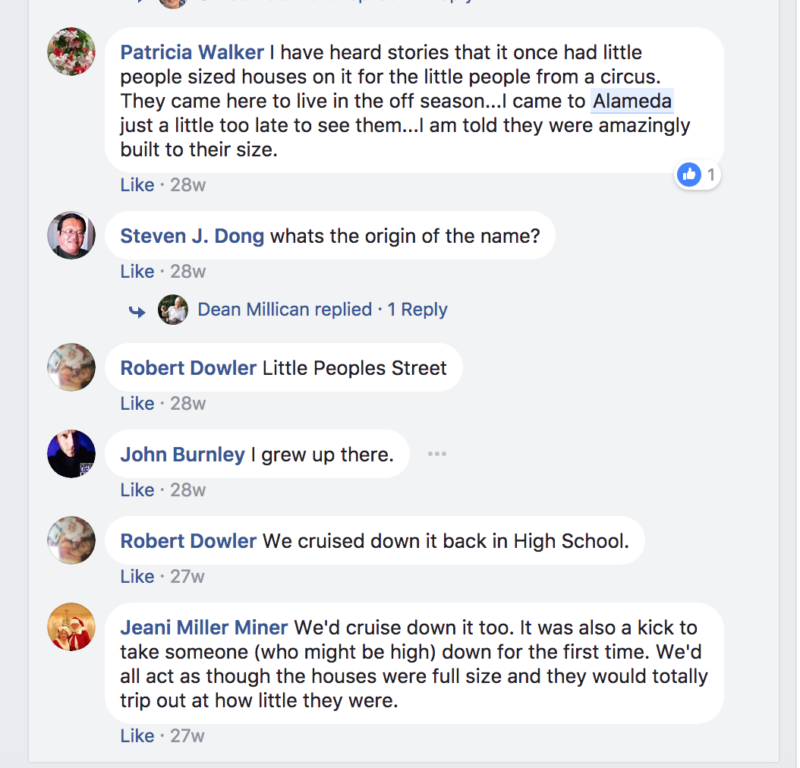 It was most likely some combination of the houses being cute and on the smaller side, Alameda’s shipbuilding past, and the rumor-spreading power of the internet. Minor says there are a bunch of weird myths relating to Alameda that seem to rise to the surface with the help of the web, like the one he shared about the lunatic asylum located on the shore of the marsh across from Oakland. "We do know from research that there is no such asylum," Minor says. Still, it's strange that the little people urban legend about Tregloan Street persists when the houses themselves aren't even all that small. Yet the tenacity of the myth is what made it hard for KQED to track down any residents of the small homes on Tregloan Court, even after we put hand-delivered letters in mailboxes on headed notepaper. After hearing nothing for weeks, one resident sent us a long email asking if we'd consider dropping the story. The resident, who did not want to be named for privacy reasons but ultimately gave permission to mention his email in this story, says he’s sick of being harassed by what he and his family call "Hobbit Hunters." “A couple of times, we have actually been sitting eating dinner when people will come right up in our yard to our dining room window and take pictures of us, and the inside of the house," the resident writes in his email. "Sometimes, whole families will get out of their car just to take their picture on our doorstep." He also says he's 6-foot-3 — and the home he lives in suits him just fine. "None of the houses are 'two-thirds-sized' homes," he writes. "That would infer that doorways, countertops, etc. are built to a smaller scale, less than standard height. 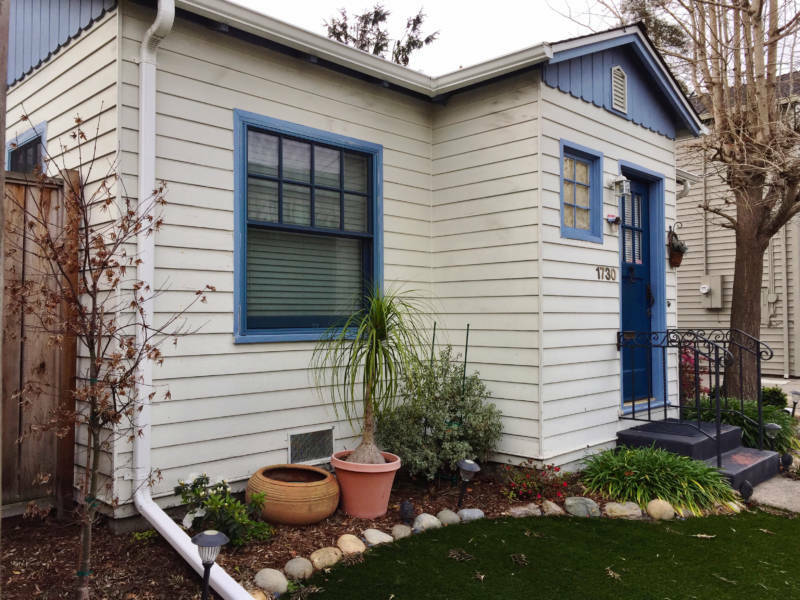 Some of the homes, including mine are smaller homes, yes, but are not scaled down, and there are many homes around different parts of Alameda that are very similar. I think you will find that really the only thing that differs is the street itself is smaller than almost all of the other streets."